I love apples, I love cinnamon and I loooove cake. This week’s Tuesday with Dorie recipe was a winner in every way with us. The cake was light, yet moist and full of flavour. I didn’t have rum so I opted for the extra teaspoon of vanilla. 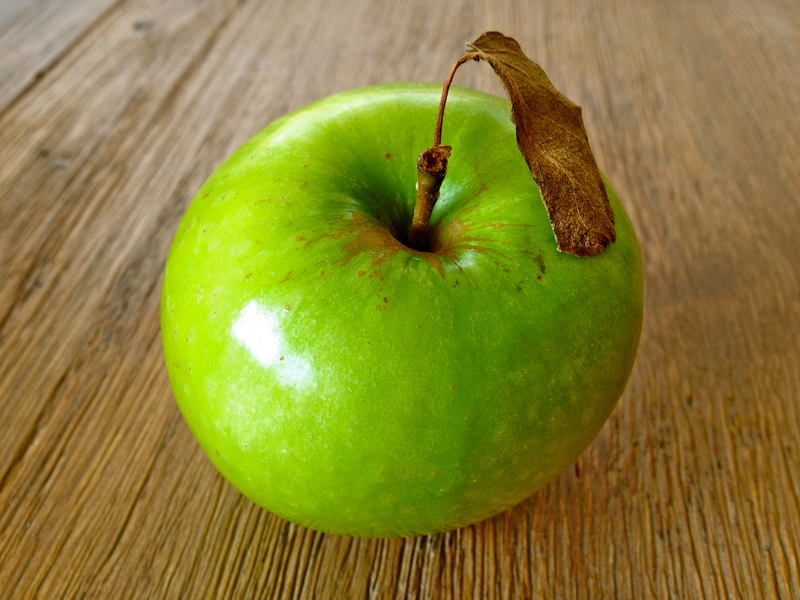 I found myself looking for a more pure and simple smell and taste of apple. Next time I will skip the extra flavouring. I can’t wait to see what the rest of the Tuesdays with Dorie members thought! Tags: apples, baking, cakes, cinnamon, cooking, food, homecooking, sweets, Tuesdays with Dorie | Permalink. 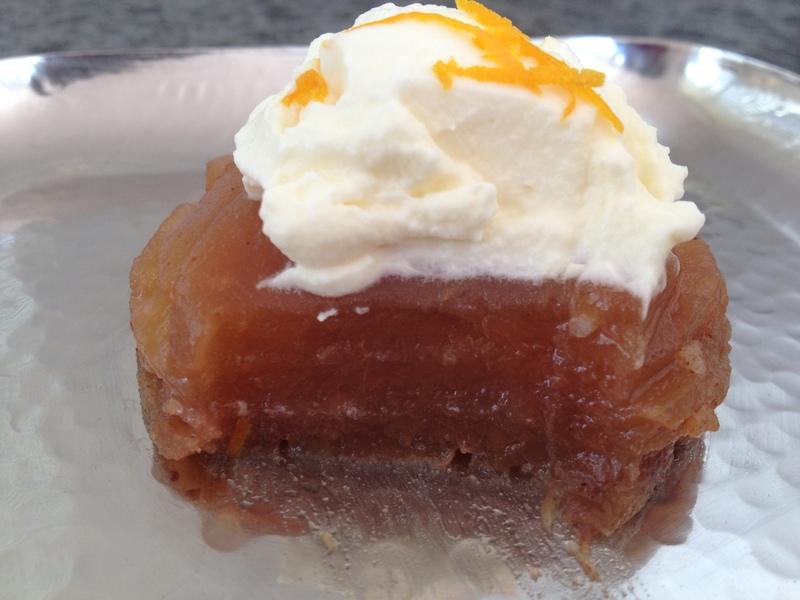 This week’s French Fridays with Dorie recipe was simple yet elegant. 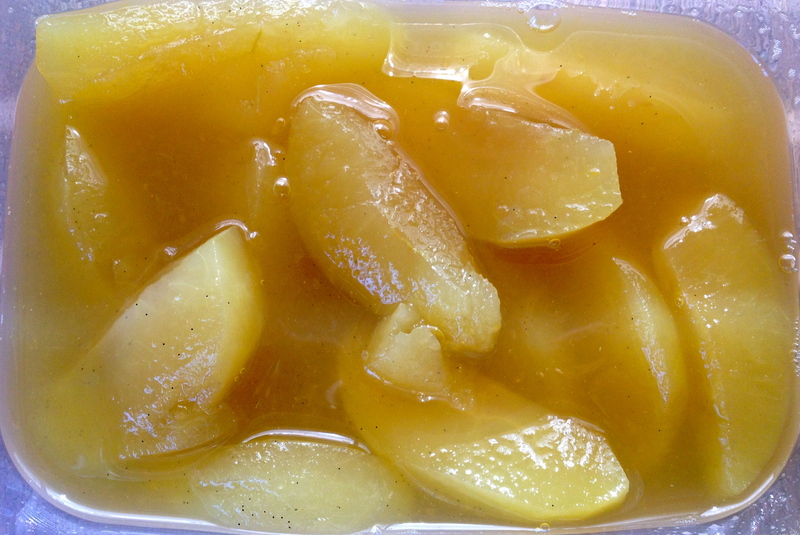 Layers of finely sliced apples, brushed with melted butter and sprinkled with spiced sugar. Then baked slowly for a long, long time. Like I said, simple and elegant. Except for the fact that Australia is in the midst of a heatwave. 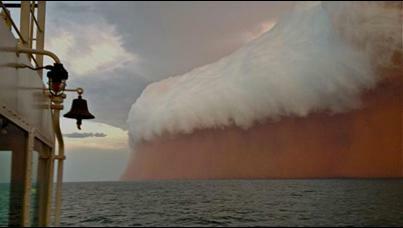 A heat wave that is breaking records. A heatwave that would make keeping your oven on, at any temp, uncomfortable. Let alone 4 hours of baking! So this recipe involved planning and cultivating a close relationship with the weather channel! My memories of the 43 degrees celsius (109.5 degrees farenheit) day last week were just too raw. So I waited till evening to begin baking these. My apples went in at 8.30pm and I turned the oven off and went to bed at 12.30am. 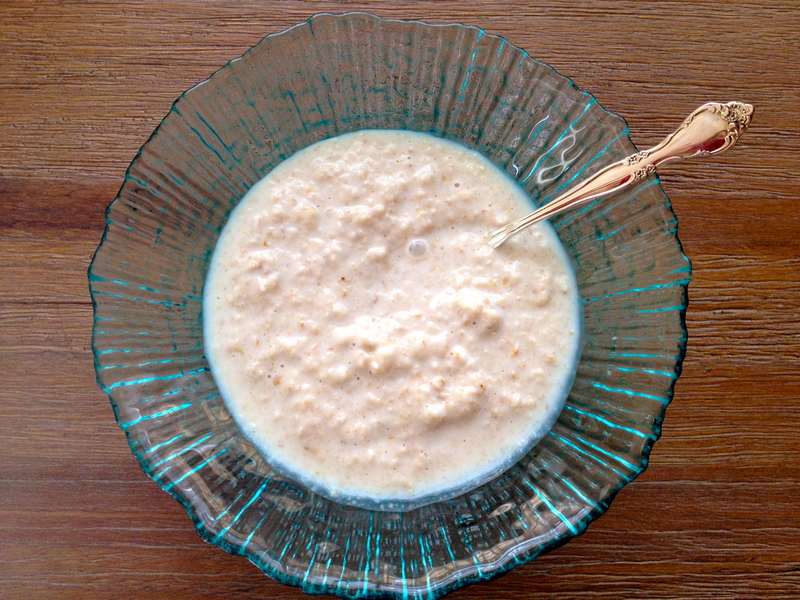 As a decadent topping for simple oats. 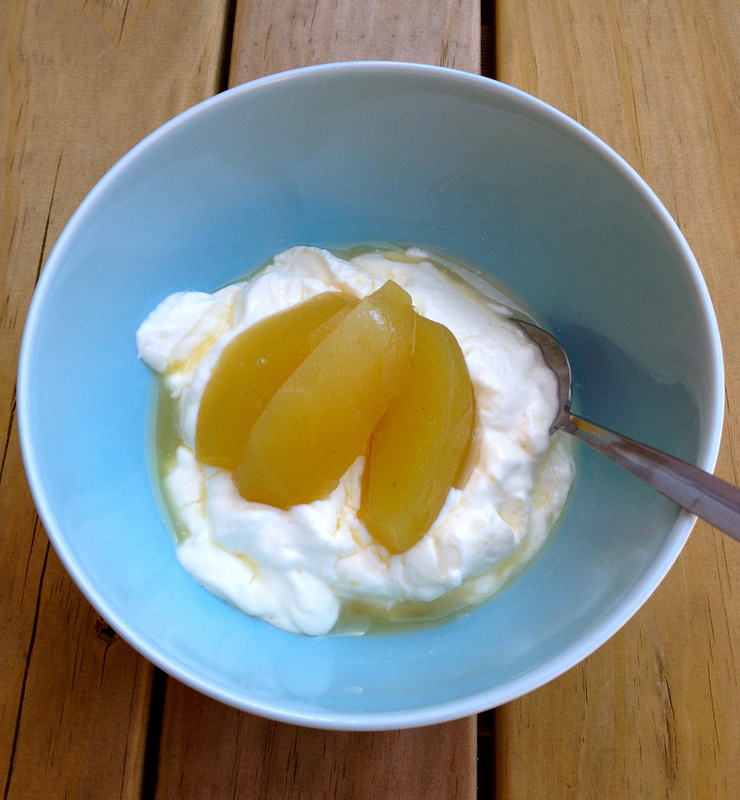 Or on its own with a dollop of sweetened cream. I am curious to see what the rest of the French Fridays with Dorie group thought of this recipe. 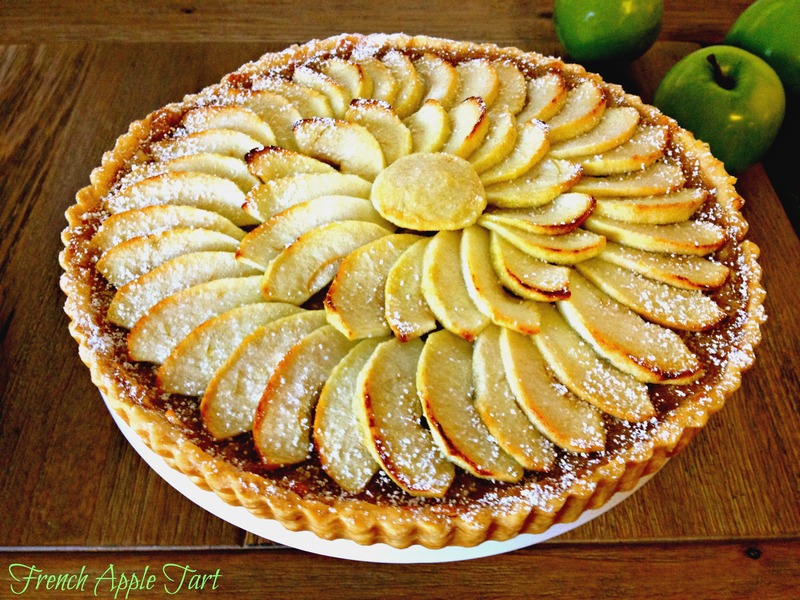 Tags: apples, baking, cooking, food, french fridays | Permalink. I wasn’t sure about this week’s French Fridays with Dorie recipe. Apples poached in water with honey, sugar, lemon juice, orange juice, star anise and a cinnamon quill? Surprisingly I had everything I needed at home. Add to this, the simplicity of the recipe and I knew I had no excuse! Once I started cooking, the fragrance of the spices and apples filled the house. I decided on the spot to make Vanilla Rice Pudding from a Donna Hay recipe I had used in the past. I put 1 cup aborio rice in a pan with 4 cups milk, 1/2 cup caster sugar and seeds from one vanilla pod. I brought it all to a boil then reduced the heat, covered it and cooked it for about 20 minutes. I was stirring and checking until the last 5 minutes. For some reason I chose this moment to call a hotel in Adelaide to check on rates for a holiday we are planning in January. My brain struggles focusing for extended periods of time on one task! I totally forgot about the rice and it turned out drier than I hoped for but I followed a tip I had read from Joy the Baker and added extra milk and stirred it through! Thank you Joy the Baker! It tasted amazing! The next morning I sent everyone off to school and I remembered my poached apples! I put them on top of a bowl of yoghurt and sat in the warm sun on the back porch. 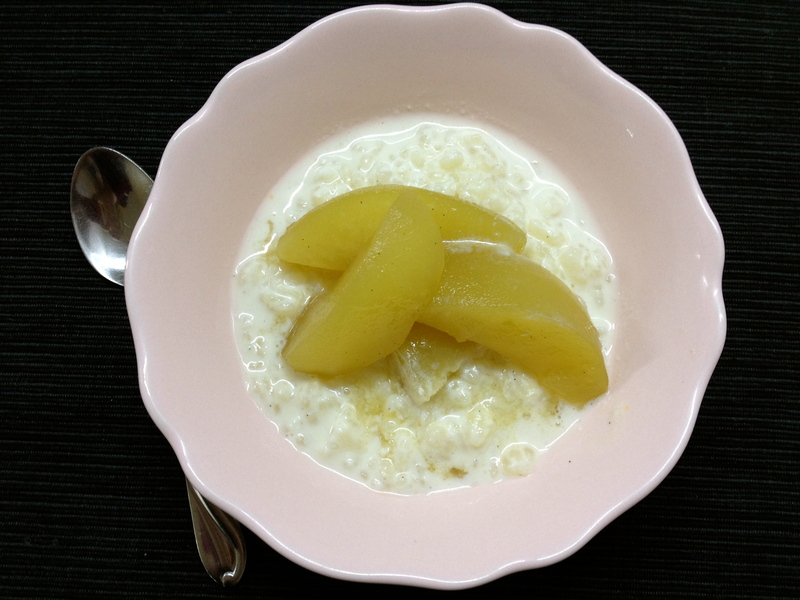 I have to say while my husband loved them with the rice custard, I fell in love with the apple and yoghurt combo! I love knowing I can just pull them out of the fridge and add them to whatever takes my fancy! I am looking forward to seeing how the rest of the French Fridays with Dorie group enjoyed this week’s recipe! 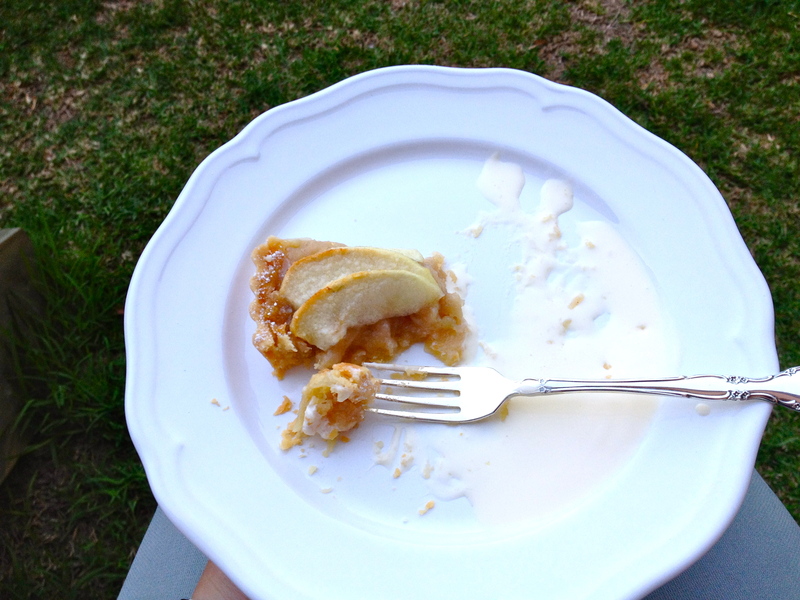 Tags: apples, cooking, food, french fridays with dorie | Permalink. Last week I decided Blueberry Pie was going to bring me unparallelled blissful happiness! I begrudgingly knew that life didn’t work that way. … they don’t necessarily lead to happiness. So this week I was prepared. I wasn’t going to let any doe-eyed Kristen Stewart, gazing longingly at me from the supermarket magazine stands, foil my galette! So what does psychological research on happiness tell us? Finding joy in the present moment increases life satisfaction. So this week’s Tuesdays with Dorie recipe was approached with curiosity, openness and independent of judgement or expectations. Disappointment was not an option under these circumstances! 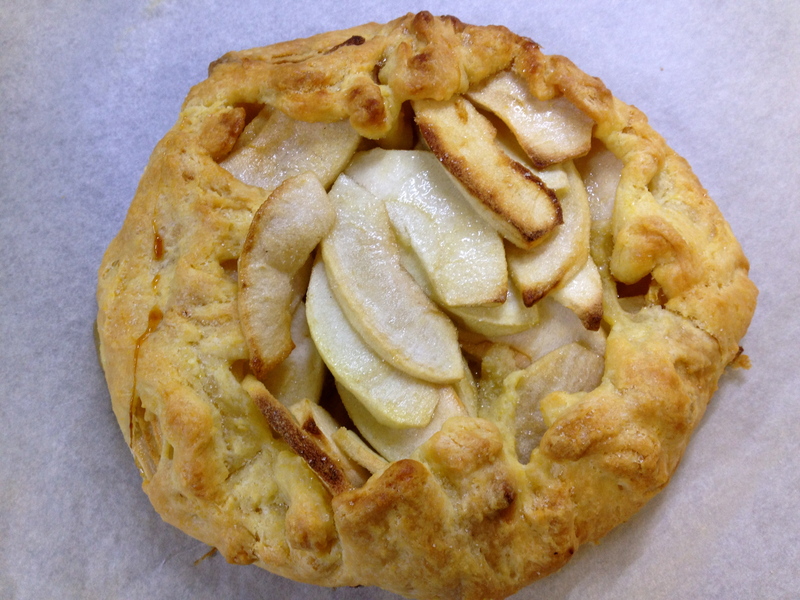 I also decided to work with the seasons rather than against them, so I used apples to make my galette since it’s winter here in Australia. The result was pure delight and delicious pleasure! The recipe is incredible easy and can be found by visiting Lisa at Tomato Thymes in the Kitchen or Andrea at The Kitchen Lioness! 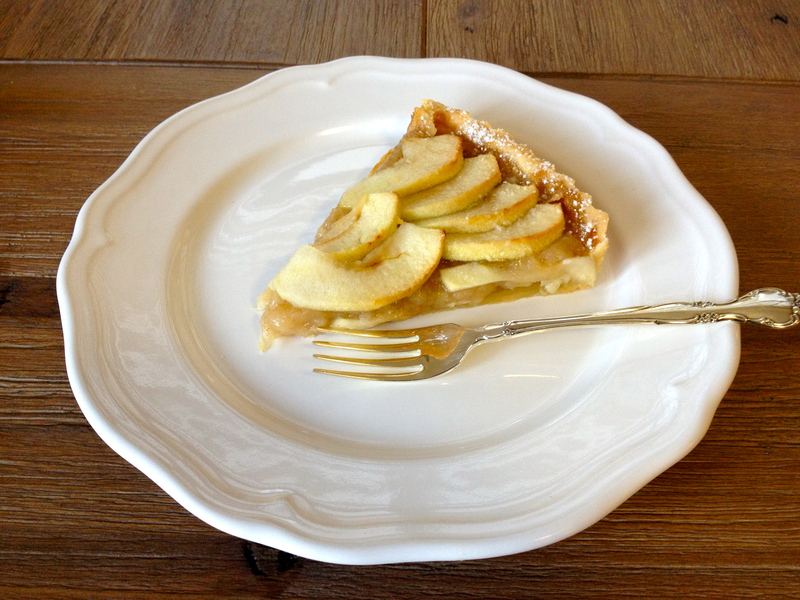 Tags: apples, baking, cooking, food, french fridays with dorie, recipes | Permalink.